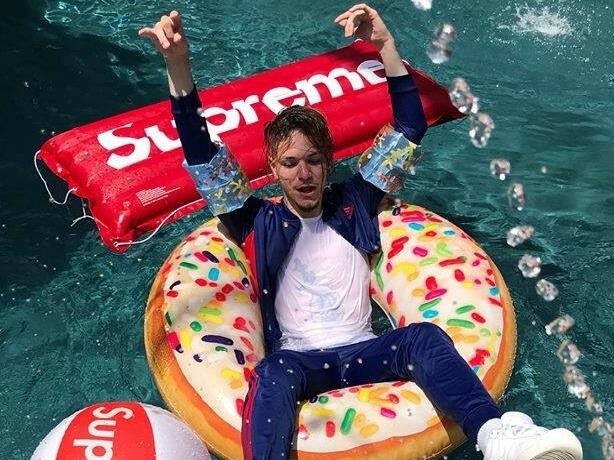 Rising Dallas rapper FlexinFab is gaining significant traction in the aftermath of his Gutter Boy LP and that momentum is being carried through the pool party extravaganza as seen in the HipHopDX-premiered “Leave” video. Which has cultivated into the turn-up artist’s next project being completed produced by none other than Zaytoven. “I’m super excited to be working with Zaytoven, a living legend on my next project, which will be about good vibes and great music,” FlexinFab tells DX. In the meantime, watch the DanceDaily-directed “Leave” video up above (which boasts of plenty of Supreme party favors) and follow FF on Instagram @flexinfab.